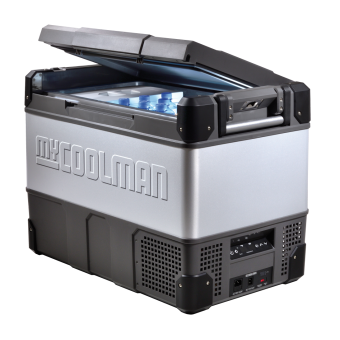 All of our portable fridge freezer models have an extremely energy efficient design with first-class compressors and the highest standard insulation, to ensure outstanding temperature performance. Some of the camping fridges come with additional insulated covers (either included or as an optional extra) to further assist your fridge freezer in its operation. Look for other complimentary accessories with many of the fridges including stands, slides, fixing kits and remote monitoring. Important considerations when looking for a portable fridge freezer for sale include; strong warranty with service agent support, quality compressor, battery protection, easy digital control display, suitable fridge and freezer temperature capability, and efficient power consumption. We pride ourselves on supplying premium grade portable fridges online and our entire camping fridge freezer range comes backed by national service networks and are supported by market leading warranties for your peace of mind. The means that you not only get best in class cooling performance with your portable fridge-freezer, but it also means that if you ever need a spare part, fridge repair or the unit inspected under warranty, then you are covered.